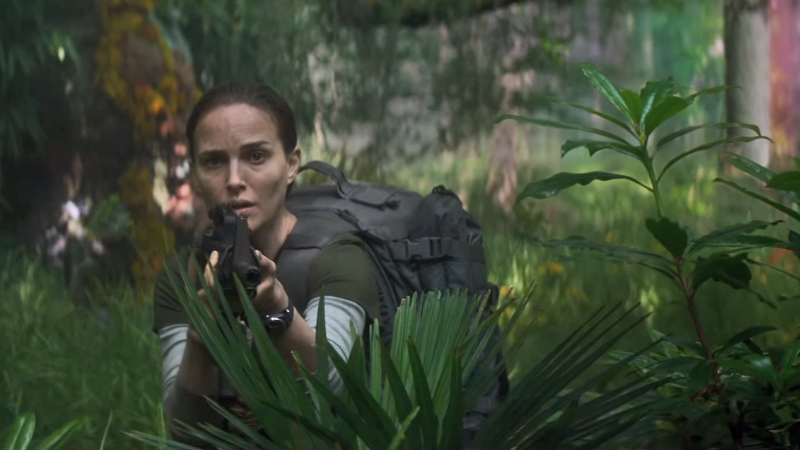 Alex Garland has some guts following up his universally-praised Ex Machina with another sci-fi film, and this one based on Annihilation, the first of Jeff VanderMeer's popular series of eco-horrors. Basically he's set an extremely high bar, but everything we've seen so far suggests he's going to clear it with room to spare, and that includes this terrific new trailer. Starring Natalie Portman, Tessa Thompson, Jennifer Jason Leigh, Gina Rodriguez, and Oscar Isaac, the film follows a team of scientists sent in to explore a "Area X", a forbidden zone experiencing abnormal, possibly extraterrestrial activity. Portman plays biologist Lena, with Isaac as her husband who returned from Area X unrecognizable from before. Having never read the book (It's next on my list) I can't speak to the faithfulness of this footage to the source material, but I'm loving the gorgeous, lush visuals and the danger lurking beneath all of that beauty. This could be one of the best sci-fi movies of the year and one of the best horrors. 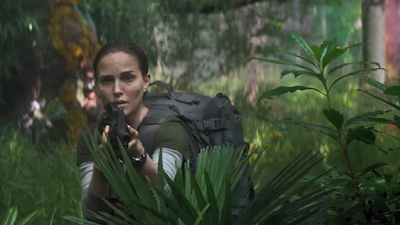 Annihilation opens February 23rd 2018.